Hi all!! 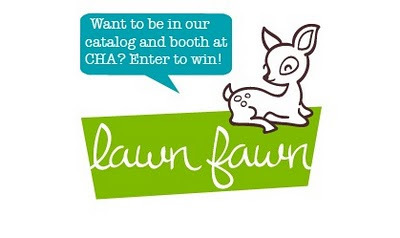 Here is my first post for 2012, and what a better way to start it off is share with you my entry for the Lawn Fawn Catalog Challenge. 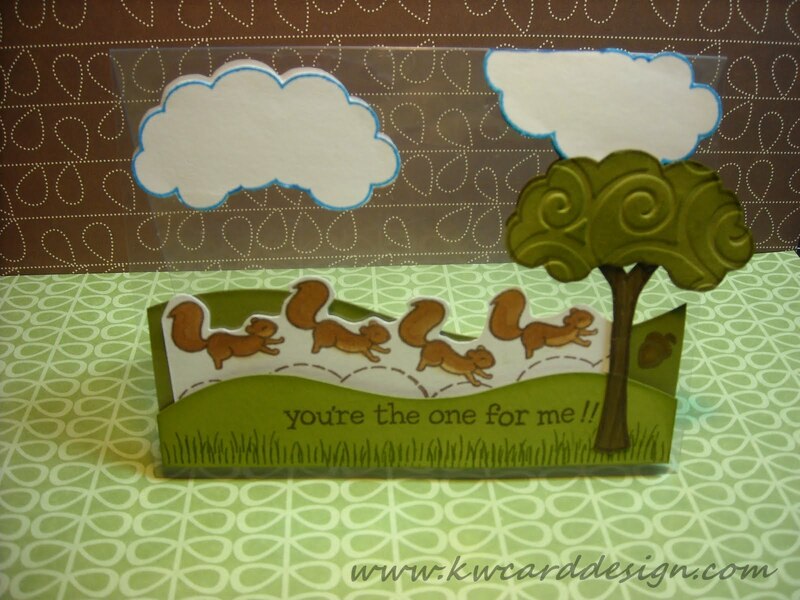 If you are a regular reader of mine, you know I heart Lawn Fawn...so...with very little time to spare I found the time to come up with this card to submit to their fun challenge. A challenge it was...there were restrictions, like NO patterned paper, and a few certain sets to be the MAIN part of the card. I didn't have only but two of the sets they required, but I made do I think. I made it an even bigger challenge on myself by making it a "clear" card!! First time I've done one!! It was a bit tough, and time consuming, but I think the card turned out cute!! I used Critters in the Burbs - I even used the tree top as the clouds too!!! The sentiment comes from Clear to See. I wanted to show how excited that lil squirrel was to find THE acorn!! HAHA. So - what do you think??? Wish me luck!!! See ya soon!! I think it's adorable! 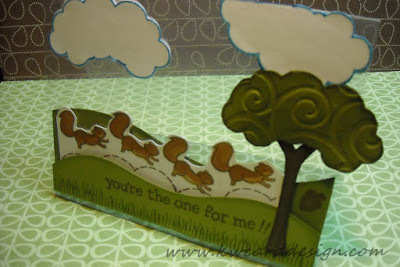 Love the shapes and the embossed tree and the acetate and the sentiment... Love it all! oh my goodness! i LOVE this, the scene looks adorable and even cooler on that clear card. this is very very cool!